If you are wondering about how this Navratri you can lose some weight fast, then you have landed on the right page. Here is a Navratri Diet Plan for Weight Loss. Lose Weight with Navratri Fast. The word “Navratri” in itself brings in the enthusiasm, divinity and determination in oneself. 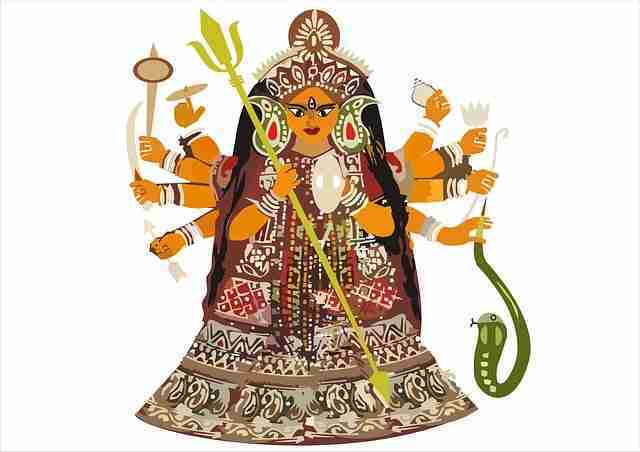 Navratri is one of the Indian festivals that is observed for 9 days. Every state has a different way to celebrate this festival. In east India people pray to Goddess Durga. Whereas in West India, people offer prayers to the deity and perform garba as form of celebration. But one thing is common everywhere and that is people fast for these 9 days. Different people have different motives for fasting. One such category of individuals is to lose weight. They follow fasting but the result what they get is totally the opposite. Instead of losing they put on weight. Have we ever thought why fasting goes wrong? well, this Navratri Diet Plan for Weight Loss will help you get there. Navratri brings a variety of snacks that are really hard to avoid. People tend to eat all wrong foodstuffs which throw weight goals to a toss. In the name of fasting the food that is ingested is loaded with sugar or is fried or is high calorie. But the fact is, navratri fasts can be the best detox for a body if you follow our Navratri diet plan for weight loss (Lose Weight with Navratri Fast). Before we move on to see Navratri diet plan for weight loss, here are some simple tips to lose weight with navratri fast. Starving the entire day will only drop your blood glucose levels. You will feel low and lethargic. So instead, it is advisable to consume small 3-4 meals throughout the day. This can be in the form of fruits, allowed liquids or other. Proper hydration of body is necessary especially during such hot weather. Hydrate the body with other fluids along with water. These fluids include lime water, infused water, fruit juices, soups, buttermilk or coconut water. These fluids will also keep the energy up as they are high in minerals and vitamins too. Fasting generally makes you tired and you will not want to workout. But it is best if you avoid such situation. Keep doing your daily routine activity. Small frequent meals will keep the constant supply of energy and fuel to the body. Combine complex carbohydrates with vegetables to get a killer combo for weight loss. Use vegetables in upmas, patties or cutlets. Use combination of different high fiber flours like rajgira, amaranth and kuttu with additional bran added. Use samak rice over sago. Complex carbohydrates helps reduce over eating and thus help in weight loss. Avoid sugar as much as possible. Replace it with dates or fruits. Vegetables as we all know are high in vitamins, minerals and fiber. These vegetables give extra boost to the body during fasts. You can include vegetables in form of juices, soups, salads, vegetable or add it in the recipes. The fiber will keep you full for longer period of time and save you from hunger pangs during fasts. Salads such as cucumber, beetroot, carrot, radish and cabbage are great for weight loss during navratri fast. Choose healthy snacks. During fasts people tend to eat high calorie fried or sweet stuff. The best and handy option available if either potato chips or fried snacks or samosas, vadas or puris. Instead go for baked vadas, grilled veggeis, sugar free homemade kheer (made using dates) and shallow fried or roasted patties. Use low fat milk and curd. Make paneer from low fat milk at home. Shallow fry the patties instead of deep frying. Grill the veggies instead of making pakoras. Use low fat paneer or amaranth wherever possible. All these are high in proteins. Proteins help to keep you full for longer and avoid overeating. They greatly help in weight loss. Amaranth , one of the most unexploited food and is the best protein origin you can take during fasting. Make amaranth porridge with milk or cook it as vegetable dalia. Lots of vegetables, whole fruits, flours with brans are rich in fiber. Fiber gives high satiation and prevents overeating during fasts. This in turn helps in weight loss during navratri fasting. Dry fruits like almonds, walnuts, dates are power packed foods. They are high in fiber, protein and fat. These dry fruits keep you full for longer period of time. Dates replace the requirement of sugar during the fasts. This will help in weight loss during navratri fasting. Avoid cashew when possible as it is high in saturated fats. You can have it in limited amount. Jasmine tea is great for detoxification. Jasmine tea helps to prevent water retention and treats any water retention you might have. Thus, it should be preferred over green or black tea during fasting time. You can also try cinnamon tea or green tea which are better options than high calorie milkshakes. There are a lot of other caffeine free flavours available in the market. When you order food from outside, it is loaded with extra calories. It becomes the culprit of weight gain during navratri fasts. It is always better to cook at home according to your requirements. The biggest plus point of home cooked food is you know what is there in your food and how much. People follow different pattern of fasts during navratri. They either will eat only once in whole day and rest of the day will remain hungry. Or they will break their fast with only 1 meal in whole day. Or the no grain pattern. Here you consume small snacks throughout the day and 1 major meal either during lunch or dinner time. We are considering the requirement for the purpose of weight loss keeping in mind fasting pattern. Thus, for our Navratri diet plan for weight loss, we have small frequent meals with whole meal dinner. Flours like rajgira, amaranth and kuttu can be used interchangeably. Sama and varai can be used interchangeably. Use skimmed milk instead of full fat milk. Keep sipping fruits infused water throughout the day. Read – Recipes of detox juices for weight loss. – Recipes of top 10 detox waters for weight loss. – Indian liquid diet plan for weight loss. Dancing to the beats of navratri is a good workout for weight loss. Just enjoy the music, it will also help to de-stress. Follow these few simple diet tips and Navratri diet plan for weight loss for that perfect body. Subscribe to our You Tube channel Now. Due to cutting-edge research, we now know that the hormone “Noradrenaline” may hold the key to unlocking fat cells and shrinking them. And best of all it helps eliminate harmful fat by working with your body’s natural fat-burning metabolism and doing it all without you feeling any cravings or hunger pangs!